Best Con Ever | The Best Con Ever – Yours! April 7-9th we will once again be hosting Unicon in Oceanview, DE. More details on schedule and events as we get closer. 38 attendees joined us for 5 days of gaming in Narrowsburg, NY. Unfortunately we only had a few events in 2014 but we plan to host MANY events in 2015!!! 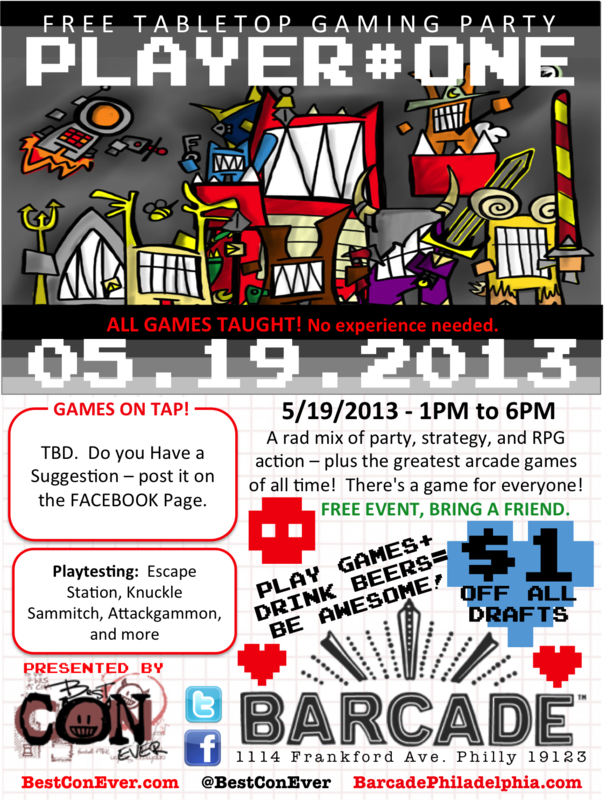 International Tabletop Day is April 11th! Keep your eyes and ears peeled for updates on where we’ll be around Philly! If your bar or shop is looking for game day hosts, hit us up! PLAYER #ONE – – SEPT 14th! 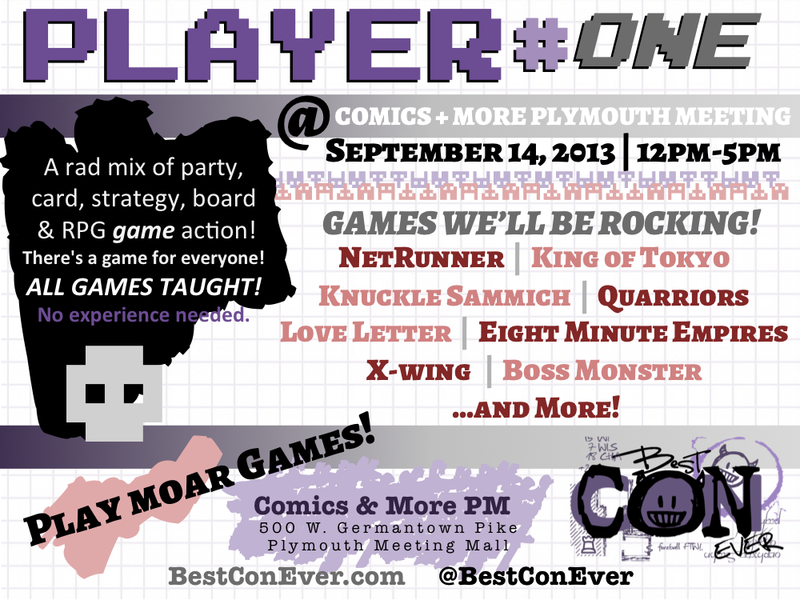 Join us on Saturday Sept 14th at Comics & More in Plymouth Meeting Mall for an ALL AGES PLAYER #ONE! Hi All! We are deep in the planning and scheduling phase for NC7! Tons of fun stuff this year for the Game of Thrones theme!!!! Tournament of the Hand (and Mind), Citadel Quizzo, Red Wedding LARP and more!! !